At the Kester Berger Team, we’ve always felt that honesty, integrity and communication are the keys to any successful business relationship. Where else can this be more important than in a real estate transaction? After all, it will likely be one of the most expensive purchases of your life. We strive to provide the best, most consistent and reliable service in the industry. Our clients know we will help them and keep them informed every step of the way and long after escrow has closed. They view as as their partners and they trust that we will continually look out for their best interests and negotiate accordingly. In addition to being skilled Realtors and negotiators, we have tremendous knowledge and appreciation for the unique qualities and beauties of the Reno/Tahoe area. Whether you’re considering moving to Reno or Tahoe, are a tried and true local, or an investor, you need trustworthy agents who know this area and all it has to offer. 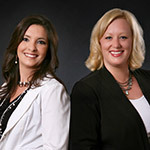 You need agents who will become your “partners” in all of your real estate needs. Look no further. You’ve found them!